It has been a while since we checked in on the Delicate Nirvana. Don’t you worry though, we’ve been enjoying it just as much as ever. Once we completed the pergola, we wanted to get some wind chimes. We are wacky like that. Some folks hate a wind chime, my Mother is one such person. This is likely one reason why I wanted one, being a wind chime deprived child. 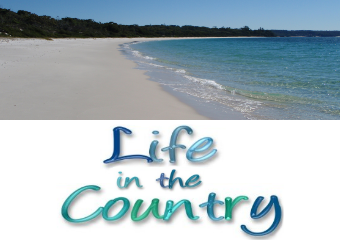 If you want to buy a wind chime on the South Coast of NSW, Mogo is a top location to pick. We had plenty of wind chimes to choose from here. The plan was we could pick two wind chimes each. 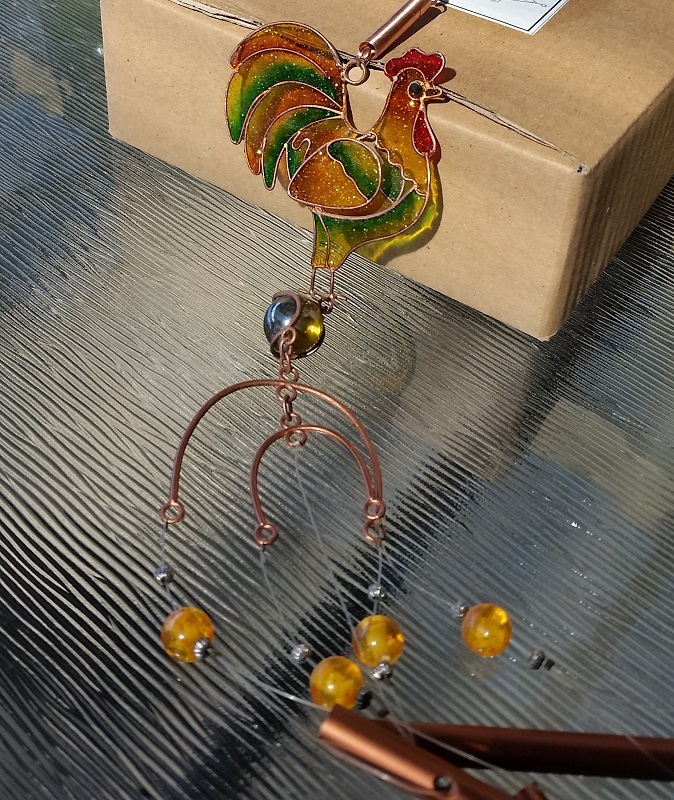 I chose a sparkly chicken wind chime. The Other Half was looking for one perfect sounding wood and one perfect sounding large metal wind chime. He found this large wood wind chime. I chose this rainbow seashell wind chime. The Other Half was unable to find a perfect large metal wind chime. 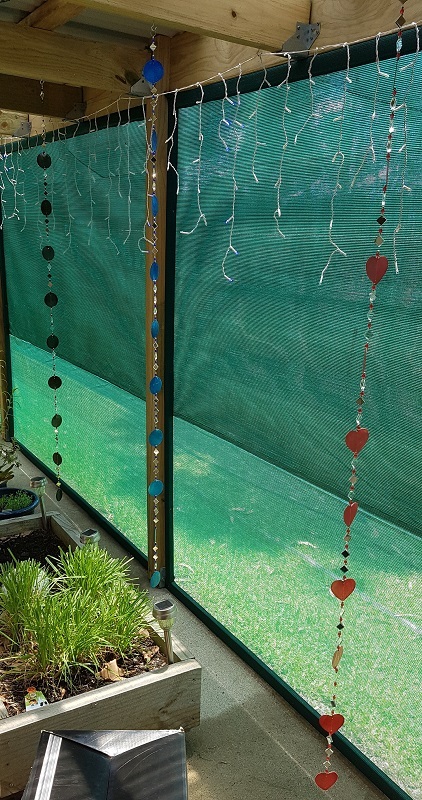 A couple of weeks later at the Berry Markets, he decided on this silent windchime instead. I also chose three long seashell and mirror strings – one blue, one red, one dark grey. I wanted green but they did not have the right shade of green for our Nirvana and The Other Half loves all things black and grey, so I chose that instead. 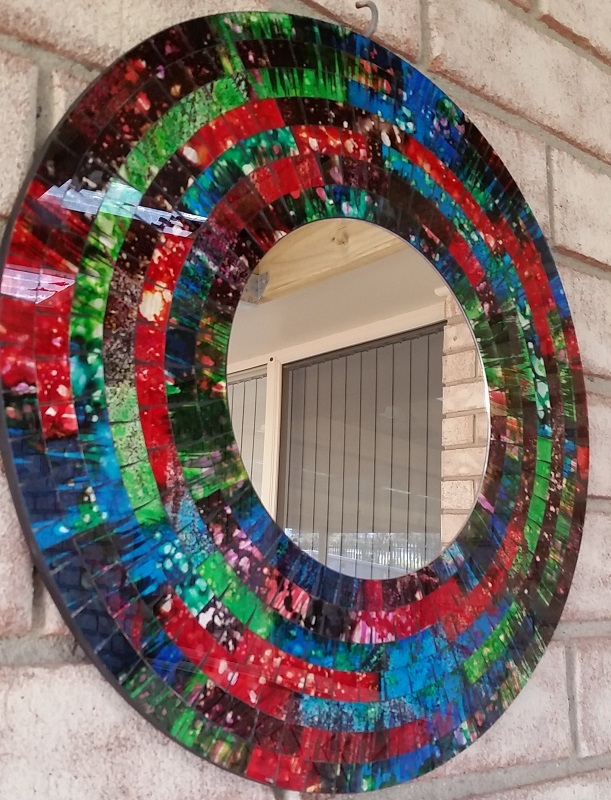 While there we discovered this stunning mirror which contained all three of our theme colours – blue, green and red – so we chose it for the wall. 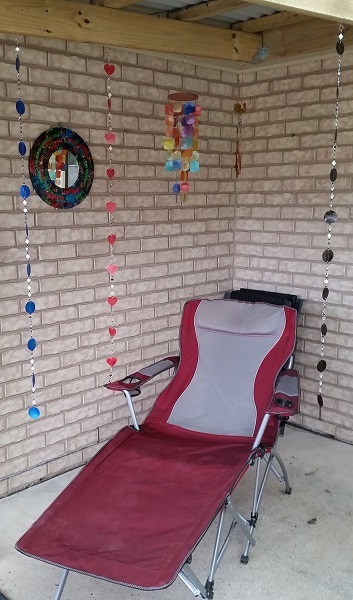 We had a good month of great wind chime time, then once we installed the shadecloth it cut down the wind so much we rarely hear a wind chime anymore.. even when a big storm blows through we do not seem to get any wind or breeze. An orchestra of wind chimes. We just happened across Mogo and what a great little place it is. Too many comments of mine are lost here with a message coming up saying “invalid security token” what the heck does that mean? is it because I put a smiley face? Bet you’re feeling a bit annoyed when the wind blows and there’s no dingaling outside? Love that ‘stain glass’ chook. I love the sounds of wind chimes… until I hear them for a minute or more! 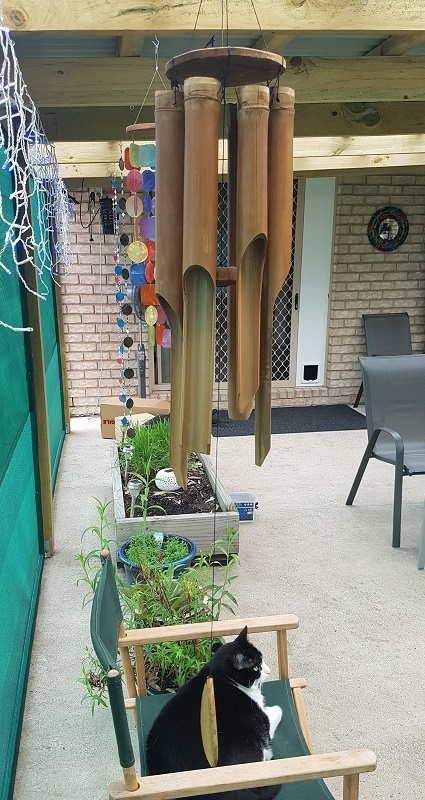 I love having a wind chime … a sing sing we call it, I think one of the kids called it that when they were little. We have a big one on our pergola. 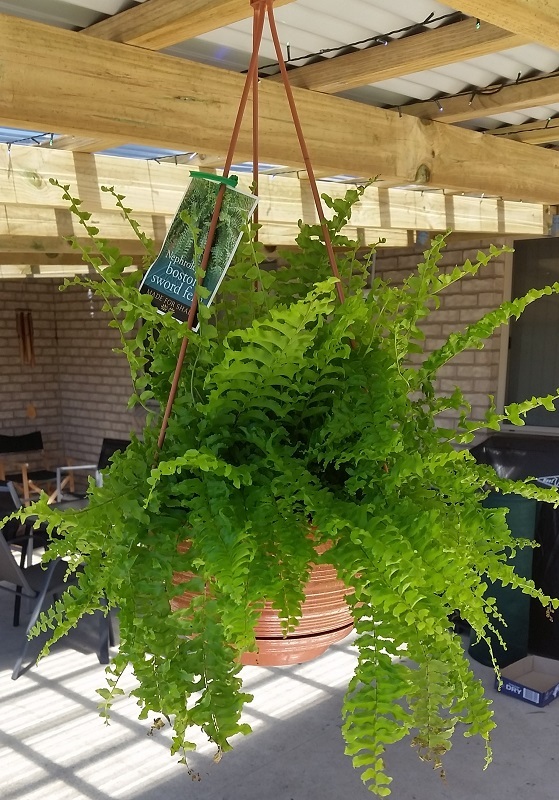 Hubby reckons it must drive the neighbours nuts when it’s windy, but I don’t think it’s intrusive – I love it.